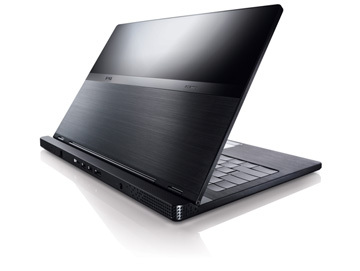 Dell's Adamo Admire is about a highly attractive ultrathin laptop with a reasonable $999 price tag. Many who might consider a MacBook Air but don't want to spend as much would likely choose the Adamo simply based on its style and cost. Performance is good even if the battery life isn't quite up to the ultraportable market these days. Items such as the solid state drive and high quality diplay are a nice touch and atypical of this price range. SU9300: Langsam getakteter Core 2 Duo ULV Prozessor für kleine und leichte Notebooks. Bietet Virtualisierungs und Trusted Execution Unterstützung.» Weitere Infos gibt es in unserem Prozessorvergleich Vergleich mobiler Prozessoren und der Prozessoren Benchmarkliste .